WHY JOIN THE DREAM REWARDS PROGRAMME? Enjoy value-for-money holidays at sought-after resorts. Flexibility – use your Dream Points for longer stays such as multiple weeks, single weeks, midweeks or weekends. You select the dates, time of year, the destination and size of accommodation. With our combined bargaining power, Dream Rewards provides many membership benefits as our product base is constantly growing. Our close relationship with other exchange programmes allows most membership levels access to international travel options. Our in-house finance options deliver dream holidays with flexible monthly payment options. Customer care is paramount. Your voice counts when it comes to the resorts that we invest in. Enjoy peace of mind in joining a member-owned club that works. 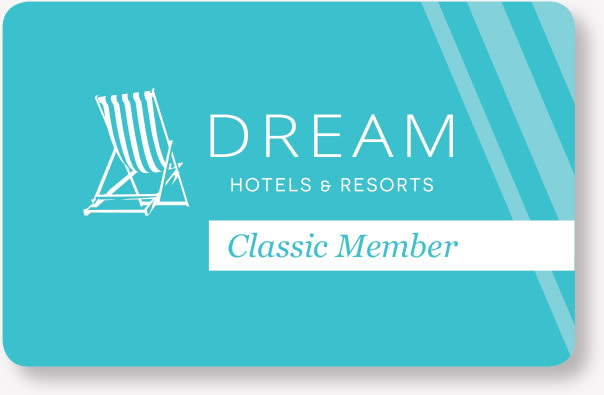 It’s your dream ticket to a range of VIP benefits and discounts – Dream Hotels & Resorts’ Classic Dream Rewards tier is free and incredibly easy to join. With Dream Hotels & Resorts, simplicity is key so you start benefiting immediately from your membership. There are no hidden sign-up fees, threshold level benefits or minimum requirements to sign up. Simply complete and submit your application and you’ll our team will be in contact shortly to arrange sending you your Membership Card and to answer any queries you may have. A sign-up bonus of a R1000 Dream Hotels & Resorts coupon which you can use on your next holiday. 10% accommodation discount if you book through any channel. 2.5% food and beverage discount at any hotel-owned restaurant or bar. Up to 10% discount on resort-specific activities. Up to 5% discount on spa facilities (where applicable). Access to the Executive Members platform to find Bonus Breaks and holidays. Book up to 3 exclusive Bonus Breaks (last-minute holidays) at Rand value. Earn 5% Dream Points on accommodation through any channel. Earn up to 5% Dream Points for hotel stays and F&B at hotel owned restaurants and bars when charged to your room - will be allocated 24 hours after check out. Earn up to 5% Dream Points on Activities - resort specific. Any natural person may join the Classic Member programme. Early and late check-out privileges are subject to availability of rooms on the day of arrival and/or departure and will remain at the sole discretion of management. Hotel room upgrades are subject to availability of rooms on the day of arrival and/or departure and will remain at the sole discretion of management. Dining benefits do not include beverages and your meal must include a main course. Only one membership card may be used per table or per reservation and must be presented on arrival at the restaurant. Members benefits will not be applicable at any hotels that leave the Dream Hotels & Resorts group. Such hotels will no longer be a participating hotel. Member benefits are only applicable at participating Dream Hotels & Resorts. Please keep your card in a safe place and contact us immediately should it be misplaced, lost or stolen. Valid for up to 12 months after date of issue. All bookings must be made prior to the expiry date. Limited to a discount on accommodation bookings for 2 adults for a minimum stay of 2 nights, therefore meals, beverages, activities, transport and any other extras will be for the card holder's own account. Not redeemable for cash and cannot be redeemed in respect of any promotion offered by Dream Hotels & Resorts and may not be redeemed in peak and high demand periods. Bonus Breaks and Dream Vacation Club specials are excluded. Advance booking enquiries are essential and bookings are subject to availability. Bookings can only be made at Dream Hotels & Resorts managed properties. Booking enquiries must be made with the Dream Hotels & Resorts Central Reservations department only and failure in this regard will result in the standard daily hotel rate being charged for the booking. Upon the date of a booking being confirmed the coupon is rendered to have been redeemed and any amendment or cancellation of the confirmed booking is subject to the sole discretion of Dream Hotels & Resorts. To qualify for a Dream Rewards Executive Membership, a Dream Vacation Club subscription is required. Our member-owned Executive Dream Rewards tier has secured and developed a range of holiday accommodation at exclusive resorts across Southern Africa so that you can enjoy a well-deserved break on your terms. Our own developments, both finalised and pending, are managed by Dream Hotels & Resorts so that our members are guaranteed the quality they deserve – top-class, attentive and exceeding expectations, within a flexible points system. Learn more about Dream Vacation Club here. 15% accommodation discount if you book through any channel. 5% food and beverage discount at any hotel-owned restaurant or bar. Up to 20% discount on resort-specific activities. Up to 10% discount on spa facilities (where applicable). Book unlimited Bonus Breaks (last-minute) at rand value. Earn 10% Dream Points on accommodation through any channel. Earn up to 10% Dream Points for hotel stays and F&B at hotel owned restaurants and bars when charged to your room - will be allocated 24 hours after check out. Earn up to 10% Dream Points on Activities - resort specific. Convert Dream Rewards Points for Dream Vacation Points. Any natural person may join the Executive Member programme. 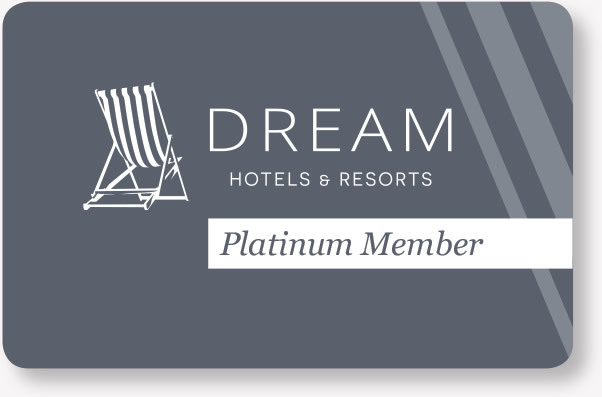 To qualify for a Dream Rewards Platinum Membership, a Dream Vacation Club subscription is required. An elite membership tier for members of the Dream Vacation Club who have purchased 15,000 points or more, Platinum Dream Rewards membership delivers a range of exclusive benefits that will put the ‘make your day’ into any holiday. Enjoy VIP Platinum Services and Classic VIP treatment during your Dream holiday, as well as a range of unbeatable exclusive benefits, including international accommodation. 20% accommodation discount if you book through any channel. 7.5% food and beverage discount at any hotel-owned restaurant or bar. Up to 25% discount on resort-specific activities. Up to 12.5% discount on spa facilities (where applicable). Book unlimited Bonus Breaks (last-minute holidays) at rand value. Holiday Rewards for every three out-of-season mid-weeks (Monday to Friday) booked in a calendar year, one mid-week for free (same calendar year). A preview of all Dream Vacation Club specials and packages. Earn 15% Dream Points on accommodation through any channel. Earn up to 15% Dream Points for hotel stays and F&B at hotel owned restaurants and bars when charged to your room - will be allocated 24 hours after check out. Earn up to 15% Dream Points on Activities - resort specific. Any natural person may join the Platinum Member programme. © Copyright 2019 Dream Hotels & Resorts (Pty) Ltd.